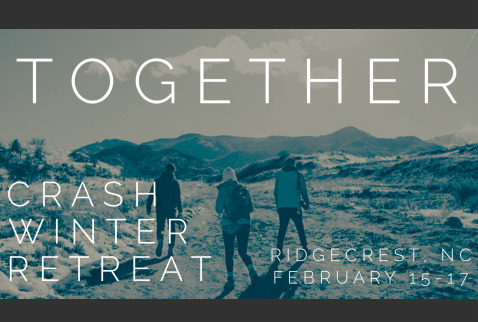 Winter Retreat is an annual trip for the Crash Student Ministry. This year we are heading to Ridgecrest, NC. Our theme is TOGETHER. We'll be studying God's Word about unity in the body of Christ and in the Crash as we carry out the mission of proclaiming the Good News to our community. We are currently full for this trip. Those who are signed up should recieve in info packet in the make the first week of February.